It Is Never Too Late to Have a Happy Adulthood! My mother met Herb, the love of her life, when she was just 15 years old. If she had only known, she would have bypassed all that heartbreak. And Herb would have not tied the knot with the women I crowned, “Miss Guided” and “Miss Led,” and then work to untangle himself from them. 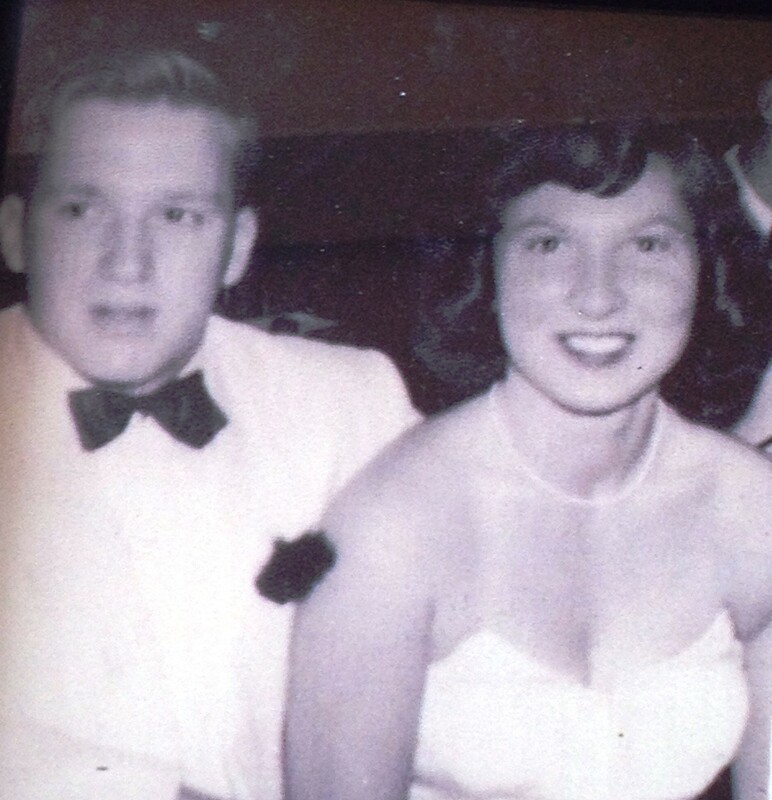 Mom and Herb became high school sweethearts in 1947. He was her first date, her first kiss, her first “second base.” They graduated and chose colleges in distant cities. He enlisted in the Navy and drifted away. Several decades later, Mom tried to locate Herb, to no avail. She finally gave up. And then, when they were both barely 78 years old, Herb had a vivid dream about Mom one night. It was the kind of dream that stays with you, and feels so real that you wonder if your spirits flew off and danced together while your bodies were sound asleep. “Yes, it’s me!” He reintroduced himself and said, “It is great to see you again, Betty! How is Carol? I’d like to re-connect with her. Would you please give her my email address?” Aunt Betty was delighted to re-introduce her sister to her first love. 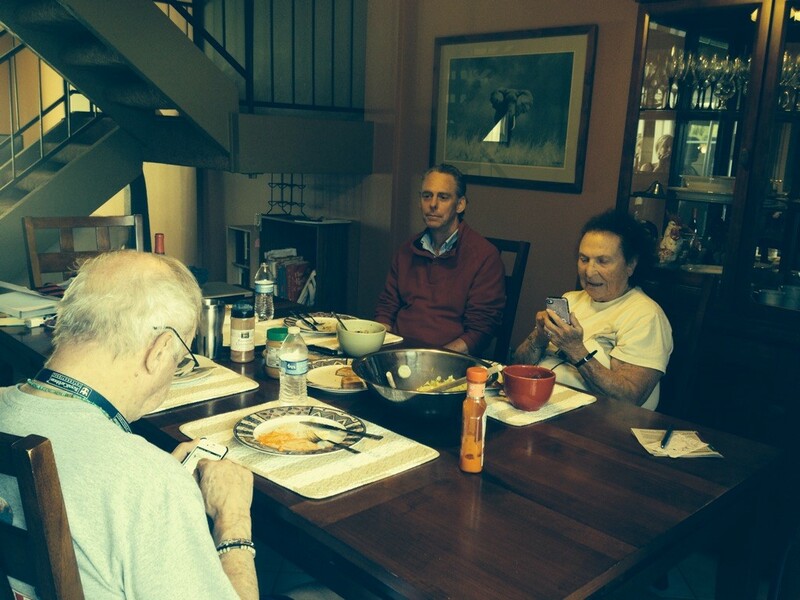 And so the two 78-year olds began rekindling their courtship through email. Two months later, Herb picked up the phone, took a deep breath, and called her. They talked into the wee hours of the morning. After several calls that flew by like the first call, Herb asked if he could fly to Florida to visit the snowbird for a week. She agreed to meet, with the condition that he stay in a nearby hotel. Herb is a class act. He booked his flights and his hotel room, and showed up on mom’s doorstep laden with flowers and chocolates, to take her out on their first date together since 1948. They had a wonderful time. And Mom says that Herb was a real gentleman all week long. They are so good together and their happiness is contagious. Their love and gratitude for each other is palpable and it feels good to be around them. And, as a woman entrepreneur and inventor, I am regularly buoyed by their youthful optimism and encouraging support. It’s as if time stood still, waiting for them to catch up with each other. They tease each other and laugh a lot, go for long walks, hold hands at the movies, and celebrate holidays and special occasions with their elated blended families. Take it from the octogenarian teenagers. It’s never too late to have a happy adulthood! Research shows that our minds are the most open and receptive during the first and last five minutes of the day, while in Alpha state. Longtime Broadway star, Robin Boudreau Palmer invented My Wake UP Call® Motivational Alarm Clock® Messages & My Good Night Messages™ – patented, morning and evening 5-minute messages with renowned experts like HH the Dalai Lama, Chicken Soup for the Soul’s Jack Canfield and Marci Shimoff, The Secret’s Dr. Joe Vitale, and many others, which bookend every day inspired to create the life of your dreams, instead of with blaring buzzers and negative news. Process Patent # 8,064,295 – Motivational Alarm: “Motivational Messages Plus Alarm, Not Restricted to Wake Up.” My Wake UP Call® and Motivational Alarm Clock® are 2 of 8 Registered Trademarks owned by My Successables™ Inc. ©2014 My Successables™ Inc. All messages and message formats are copy written. All Rights Reserved.